When truth is stranger than fiction, fiction becomes more than entertainment. In the age of Trump, and other moments of crisis, the stories we watch and read become far more vital than simple genre diversions. That’s a lot of pressure to put on an airport paperback or summer movie, I know. Political fictions offer escape, of course, but at their best, they help us to make sense of the senseless, to order and draw lessons from chaos, to reaffirm what we stand for when it’s most at risk. 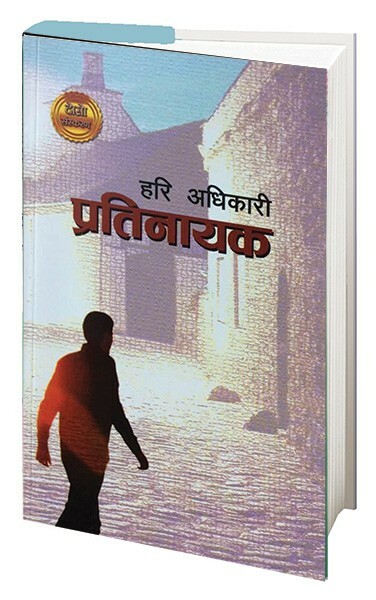 Pratinayak is a collection of stories which covers various phases that the Nepali society has gone through. I did not write this book in a single sitting. I wrote the stories over a span of many years. This anthology has stories that range from the ones I wrote when I was just starting out as a writer to ones that I wrote only very recently. In a way, this book sums up my writing journey till date and compiles stories that best describe my style of writing. Hence, I cannot put a finger on a single thing that inspired all the stories. All stories are unique in their own way, and every story is inspired by a different scenario. However, the theme that binds all the stories together is the hardship and struggle of the Nepali people. Our society has gone through various changes over the last few decades. This book is an effort to put light on that evolution and how it has changed lives of the people across the country. As that summer drew to a close and the arguing at home increased, I noticed a newspaper article announcing the release of a new King novel, one that purportedly incorporated all the monsters from our nightmares. The novel was titled It—“It” being the evil under the bed, the ghost in the basement, the distorted face staring at you from your closet in the middle of the night, or the thing scratching at your window during a thunderstorm. “It” could also be that horrid clown that had scared the crap out of a six-year-old me at the old TSS department store in Oceanside (he tried to give me a piece of gum—I screamed and ran for my life). Though I didn’t know it at the time, “It” was also the monsters that manifested in my parent’s disappointment, sadness, and anger. Big ugly monsters lurking in the attic are one thing; little memory monsters perched on my parents’ shoulders seemingly whispering vitriol in their ears as we sat around the dinner table was another. “Blessing in Disguise” is included in Marvel’s recently released Venomverse War Stories No. 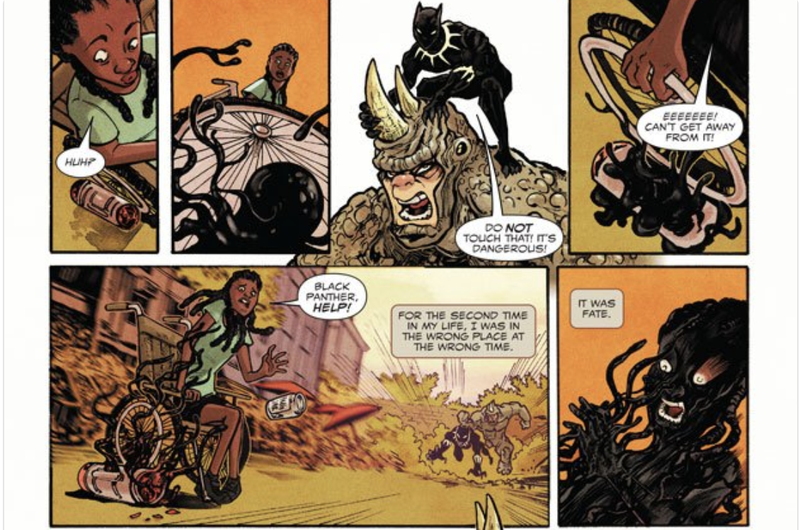 1 comic book, which sees Ngozi appear alongside more well-known Marvel characters like Venom and the Black Panther. The eight-page short was inspired by the more than 220 schoolgirls kidnapped in 2014 from Chibok, Nigeria, by militant terrorist group Boko Haram, spawning the viral hashtag and plea #BringBackOurGirls. Prev Blossom’s Wine Bar by Frida R.